Describe how the Grid System component works. Layout an object home / list view page using the Grid System. The foundation for all but the simplest pages and components is a layout grid of some kind. The Design System provides a dedicated component for this purpose imaginatively called the Grid System. If you have used other CSS frameworks such as Bootstrap, you will be familiar with the concept of a grid. 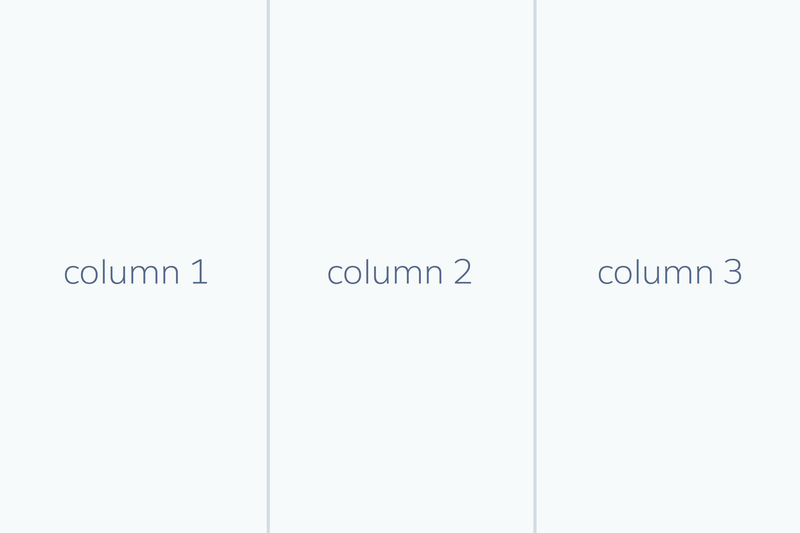 If not, in very brief terms, a grid allows you to divide your page into rows and columns. You can then arrange your markup so that it is rendered in a particular row/column. Grids can be nested allowing for complex layouts. 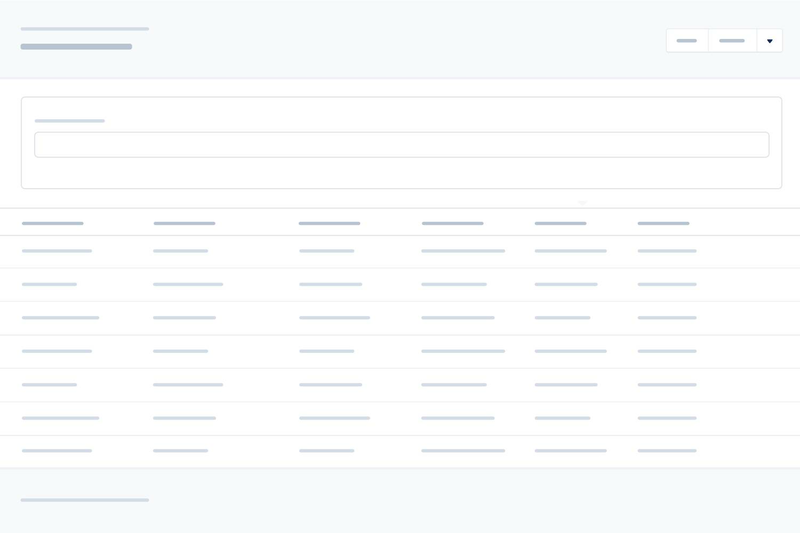 The Design System grid is based on CSS Flexbox and provides a flexible, mobile-first, device-agnostic scaffolding system. The Design System also includes helper classes that you can use to alter the look and behavior of your grid, such as alignment, order, flow, and padding. The Grid System allows you to create responsive pages by defining specific layout variations for small, medium and large screens. These are defined with breakpoints of 480px, 768px and 1024px respectively. The specifics of tailoring responsive pages is beyond this tutorial, but if you’d like to know more, please refer to the sizing utilities page documentation. By default, the columns are sized relative to their contents. In this simple example, we should therefore see three identically spaced columns because they hold equal an amount of content. If more content was added to one of the columns, it would grow relative to the others. You can also specify the sizes of the columns manually using the sizing helper classes. These use a slds-size_X-of-Y format where X represents a fraction of the total space Y. For example, slds-size_1-of-2 represents a width that is 50% of the available space. 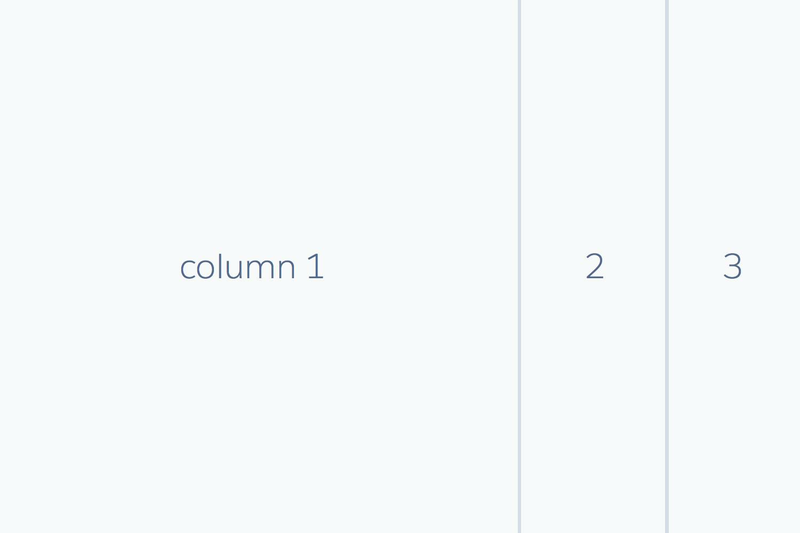 Using the manual sizing class helpers, you can specify column ratios across the following grids – 2, 3, 4, 5, 6, and 12. Here is the above example modified so that the first column fills two-thirds of the screen. Using this mobile-first approach, you can control elements widths at specific breakpoints where needed. No more broken mobile pages! We’ve only touched on the basics of grids here. For more documentation on grids refer to the Grid System and Sizing pages on the Design System website. Now onto some code! If you preview your page now, you will see the list view page starting to bloom, well the top part of it anyway. Now is a good time to ask yourself: "How much CSS did I have to write to create this beautifully styled page header component?" The outer wrapper <div> has the class slds-page-header which applies page header styling. Inside that we have a two column Grid System. The first grid column contains two elements, and one of them has a Text heading utility class, whereas the other one has a component specific CSS class, slds-page-header__title. The second column is a bit more involved. It has multiple classes applied: slds-col slds-no-flex slds-grid slds-align-top. slds-no-flex is one of the Design System layout utility classes, and prevents the column from automatically resizing by removing its flex property. slds-align-top is an alignment utility class which adjusts the vertical placement of the column contents so they align to the top of it. Inside the second column, we have a Button component that has a modifier class, slds-button--neutral, which applies minimal styling. Underneath the grid, the second row of the page header is a simple placeholder for a count of the number of items in the listview. By default the content will fill the screen width. Use one of the slds-container_* helper classes if you would like to position your primary content horizontally on the screen or constrain it to a particular width. Let’s a take a brief aside. It is important to note that the Design System focuses on being an "application framework", rather than a “webpage framework”. For this reason, we avoid adding extra styling by default. Instead the developer can choose to add additional styling manually such as in this example. This gives the developer much greater control over the exact layout, and can make a big difference where space is at a premium. As you get to know the Design System, you will see default styling assumptions are avoided on many other components such as Button. slds-grid_align-spread spreads out the grid columns on the main axis, with the first column starting at the farthest left and last item ending at the farthest right. Preview your page and you can see the list view taking shape. Note again how we didn’t need to write any CSS to give us the latest Lightning UI styling. All we had to do was apply Design System classes in our HTML markup. In the next unit we’ll hook in some real data. One last note: remember that the Grid System may not always be the best component for implementing a particular layout. For example, it may be simpler just to use a Media Object or Tile component if you want an image and text side by side.